I was never really into having a nappy bag. You know one of those really practical looking nylon numbers which only come in black, navy blue or a rather dull red. I decided to use one of my bigger handbags and consequently have ruined them with milk stains and a few streaks of Sudocrem. So I have to say that if I had my baby time again, this looks pretty good. 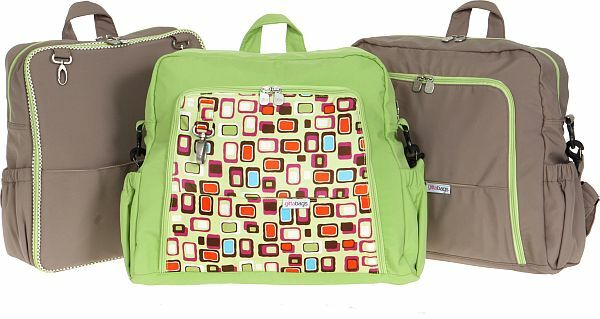 Gittabags are the all singing, all dancing, everything you need in a nappy bag! What makes these so different, I hear you cry. Well there’s the pocket for nappies, there’s thermal pockets, a laundry bag and a built-in changing mat. But the pièce de résistance is… a built-in baby gym! 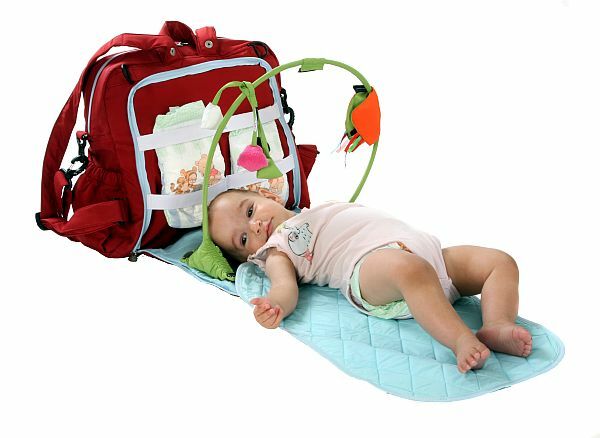 Yes, no more handing over your keys (or anything you can get your hands on) to keep baby from rolling over – how handy is that? They look pretty stylish too, with a wide choice of styles, colours and patterns. Prices start at $169 from Gear4Baby. Check out the video below to see just how ultimate this bag is!